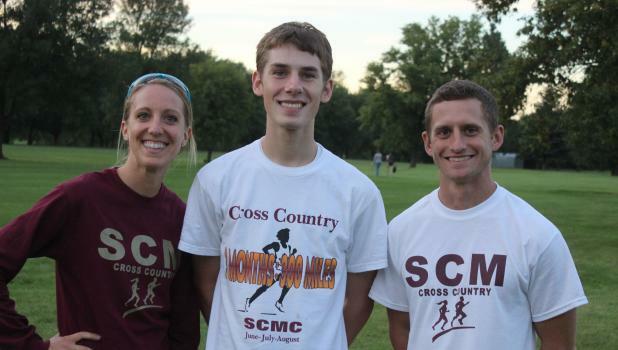 The Springfield-Cedar Mountain boys and girls cross country teams traveled to Tracy last Thursday, September 6. The girls finished in 4th place out of eight teams and the boys finished in 6th place out of twelve teams. In varsity girls team action, Lilly McCone finished in 10th place with a time of 22:04 followed by Ellie Tonn in 15th place at 22:37. Violet Hovland finished in 35th place at 24:15 followed by Brooke Hoffbeck in 36th place at 24:16. Layla Schwarzrock finished in 41st place at 24:41 followed by Helen O’Callaghan in 42nd place at 24:44. Kendall Kelly finished in 49th place at 25:33 followed by Emma Sullivan in 53rd place with at time of 26:05. In varsity boys team action, Mitchell Buerkle finished in 4th place with a time of 17:50 followed by Elijah Kirschstein in 24th place at 19:15. Noah Richert finished in 52nd place at 20:44 followed by Matthew Hillesheim in 55th place at 20:57. Carter Hillesheim finished in 62nd place at 21:26 followed by Dakotah Lumbar in 74th place at 22:16. James Coffland finished in 98th place with a time 25:33. The Springfield-Cedar Mountain Cross Country teams will travel to Marshall on Monday, September 10 and to Windom Area on Monday, September 17. Best of luck to the cross country teams in action this week!